Satan has raised up groups or individuals who are evil and very easy to spot. Why is this? 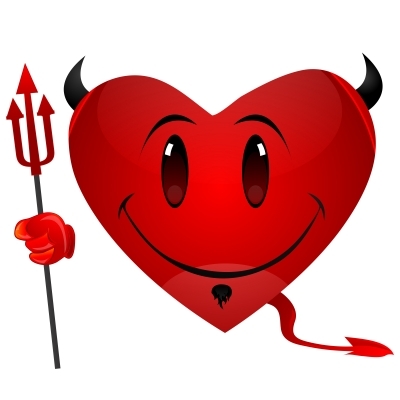 Does the devil feel sorry for Christians? Why are these groups always getting the attention of Satan’s mouthpiece, the Corporate Media? Is it because the media is concerned about Christians? What’s the real dangers these easy-to-discern decoys are distracting us from? One must give the devil his due: Satan is tricky. While his minions are busy undermining, infiltrating and coercing Christian churches in America, the enemy has set up a variety of “lightning rods” to attract the attention of Christians while his more stealthy operatives go about their business undetected, unhindered and–in many cases–assisted by Christians themselves. Many times, these lightning rods look like Christianity, pretend to be a part of Christianity and declare with their lips “I love Jesus.” However, their fruit is bad and contrary to Scripture. These obviously apostate lightning rods are promoted by the Corporate Media. The worldly Corporate Media, a favorite tool of Satan, hates Christians. If the Corporate Media is promoting the “next big thing” in Christianity, one can be sure this “next big thing” is of its father, the devil. Lightning rods are also promoted by the Christian mass media. “Promote” is a term which is used here to denote “coverage.” Sometimes, a subject can gain attention under the guise of attacking it or “examining’ it. Warnings are rarely issued by the Christian mass media–even for the obviously apostate. There are two types of lightning rods Satan uses to attract attention: Christian lightning roads and non-Christian lightning rods. When an obviously apostate Word Faith TV preacher declares one of Satan’s oldest lies–“We are little gods”–on TV in front of hundreds of thousands of “Christians,” there’s several reasons for this. He is indoctrinating his followers, who cannot discern whether such an apostate is from God or from Satan. If such followers cannot discern such major doctrinal errors, how can they every hope to discern the real trickery of the enemy? He is drawing attention to himself from those with a little discernment who are congratulating themselves for not falling for such obvious unbiblical nonsense. Meanwhile, the occult and New Age enter freely into such people’s churches. He is lessening the shock of other, waiting-in-the-wings heresies to come. Hearing a lie repeated over and over lessens the shock value. Hearing “We are little gods” the 50th time doesn’t have the impact of one hearing it the first time. For the purposes of this article, let’s concentrate on #2. Here’s a list of obviously apostate lightning rods which Satan has scattered about the land. These men and/or organizations draw great attention to themselves, especially from Christians. One of the reasons for these obviously apostate lightning rods are to reassure Christians that they have some discernment. If the reader is a member of one of the above groups, instead of getting angry he needs to sincerely ask God for wisdom and discernment to enable the reader to make a correct choice concerning this group. However, it’s at this point that the reader should also be reminded of Ecclesiastes 1:18. Below are a list of resources for further study and information. Is the Word of Faith Biblical? The above list is not a complete one. It is only a “starter” list. If many American Christians don’t have the discernment necessary to recognize that the Christian Lightning Rods are not from God, never fear. Satan has thoughtfully provided a group of non-Christian lightning rods that even those with no discernment can recognize as not being from God. With this second type of lightning rods, even those pew-sitters whose level of discernment is so low as to follow a Benny Hinn or a Joel Osteen or a Joyce Meyer or Pat Robertson or Rick Warren can feel good about their discernment. Satan’s mouthpiece, the Corporate Media, is always considerate to make sure to publicize the activities of this second group. Ever wonder why? Is it because they have love for Christians, a group of people about which they not been silent and absolutely detest? Is it because they feel like they have to warn Christians? Why are the doings of such a small segment of antichrist Americans always in the newspapers, on TV and in magazines? Answer: Even those who are hopelessly entangled in the world need to feel morally superior to somebody. 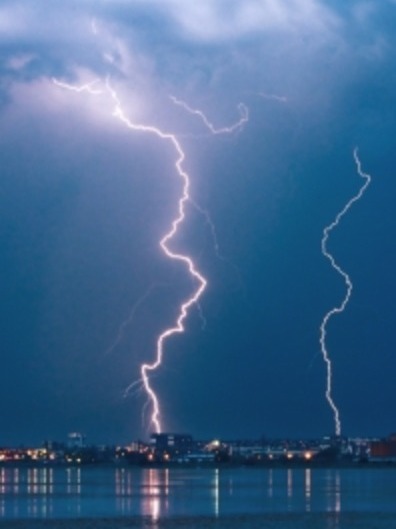 The purpose of the two groups of lightning rods is to distract Christians from the real threats that challenge the Church of Jesus Christ in these last days. While Christians are busy with Communists, homosexual marriage and atheists, the Church is being attacked by more dangerous, harder-to-discern threats. 1. Dominion Theology – The idea that Christians have to take over the earth before Jesus can come back. These are men looking for an earthly kingdom and are willing to use the name of Jesus to obtain it. They are to be in charge of a physical and spiritual cleansing of the earth. The Bible says that they will be successful for a season. 2. The Occult, New Age and Eastern Mysticism – The ideas that experiences trump the Word of God. That emotions, feelings and sensory information are better indications of God’s will than His Holy Word. Included are the ascetic practices of purification rituals and extreme fasting which turn “holiness” into a man-centered event. This also includes the revival of gnosticism and its never-ending quest to split the Body of Christ into two groups: the super spiritual overcomers who have secret knowledge and revelation–and everyone else. 3. The Desire for Miracles, Signs and Wonders – The Bible is clear that Christians are to walk by faith, not sight. Yet so many Christians want visible signs of God’s presence: miracles, signs and wonders. The Bible says that a great end times Church will rise up and do signs and wonders for those who belong–and for the whole world to see. This Church will not be Jesus’ Church. It will be the whore of Babylon Church of Satan. 3. New Revelation – The idea that God is speaking “new revelation” through “apostles and prophets” and whoever is a willing conduit. This turns God’s Word into an open canon of Scripture–which the Bible expressly forbids. All of these dangers–whether they are easy-to-discern distractions especially provided by the enemy or sly, cunning stealth doctrinal poison–achieve one thing: they distract from the saving message of the gospel of Jesus Christ. What can the believer do in times such as these? Pray for wisdom. Pray that you aren’t deceived. Pray for strength. Yes – even so come, Lord Jesus! Every age has God-sent apostles and prophets. Do they give ‘new’ revelation? No. If they’re from God, what they say and do is biblical. Miracles haven’t ceased either. Their purpose is to proclaim the glory and goodness of God, which leads to repentance. FYI: These people make me see red – Brian Bird (Hallmark) and Michael Catt (Sherwood). This is what I had always been taught. But the Bible says that an apostle is one who has seen the Lord (Paul being the last). God has always raised up witnesses. He never leaves Himself without a witness. Tomorrow, I was going to reprint this observation by Harvey Conn, a missionary in Korea. My entire life–especially when a heathen–has been a testimony to God’s ability to perform miracles–and not just run-of-the-mill one either. I had this same discussion this weekend. God is sovereign. He can and will do whatever pleases Him in accordance to His nature. However, He does warn believers in His Word what to expect in the last days. The warnings about “miracles, signs and wonders” are many and repeated. Does God still perform miracles. Of course. Are we to be skeptical of such displays of supernatural power? Yes, especially in the last days and particularly because we have been specifically warned against such happenings. One suspects that if any flesh is to be saved, God will have to perform a great miracle. But the believer is to prepare him/herself as if such an occurrence will not take place. Brian Bird and Michael Catt: I have to confess I had to Google both of these guys. Brian Bird seems to come from the same roots as Roma Downey? From looking at their bios, I’d say: Beware Catts and Birds! Did I like this blog? I see that I did like something they published. I see I do not follow the blog. Whew! That is an interesting piece you dropped a link to. I’m still trying to get through all of the component parts to it–and THEN I started reading the comments! Oh, I see where they offered an article on John MacArthur. Maybe that’s what I liked?!? I believe that MacArthur preaches too much that is contrary to the Word–although he does have some sermons that are right in tune with the Bible. MacArthur is probably one of the ones I think about when I use the equation TRUTH + ERROR = ERROR. Okay, back to the linked article. This list seems to be one of those “catch-all” lists. I didn’t pay much attention to Calvinism; (It was never what I was taught) however, after delving into some lengthy articles, I will admit that there are points to Calvinism that “make sense” of particular Bible verses better than their competitors. To call Calvinism another gospel is extreme. They support their position very well with Scripture. Maybe it would have been more helpful if the article had discussed Calvinism in regard to Scripture (dueling Scripture)!?! I’ve noticed these attacks over the last several months. “Why now?” has been my usual question. A very good comment on KJV-onlyism (though I am a KJV person myself and think it is better than the new translations–though there are several well-publicized KJV mistakes. It would have been much better to have simply fixed a dozen or so verses than to undertake entirely new, corrupted translations.) I agree the “original manuscripts” argument is no argument at all except to justify the butchering of God’s Word. One of the first books I reread when I became a Christian was “New Age Bible Versions” by Gail Riplinger. I enjoyed it and it’s side-by-side comparisons of the translations. However, later I found that Riplinger did not have good fruit. I reread NABV again searching for errors. It held up pretty well I thought. It was only later, when I saw that Riplinger used the publicity generated by NABV to stump for the Bible Code that I thought she was not to be trusted. Her later works are not very good at all IMO. While God will protect His Word, I do not think there is any support for an inspired translation. That is a stretch. You are bold! That is good! I don’t think she has the Calvinists right. I think she has a losing argument there. I found a couple of the Calvinists’ most convincing arguments to be: If Jesus died for the whole world, if he atoned for the sins of the whole world, then there are lost people who are paying for sin twice when they die. Christ paid for it once and they pay for it again at death. God is a just God. I also found Acts 13:48 to be very problematic outside of Calvinism: “…and as many as were ordained to eternal life believed.” What are we to make of this–unless it be nothing more than poetic license? I also thought your “Esau I have hated” argument to have more merit than it was given in reply. I still have to “wrap my head around” the finer points of Calvin. I don’t think the others do a very good job of Scripturally backing up what they contend. And I see a lot of “cheap salvation” which is no salvation at all. I see that as a very big problem. BUT, as far as the linked article: it did provoke much discussion–which is not a bad thing. I thought much of the discussion was in good faith. That is a good thing. I definitely do not agree with all of the blog’s points–but then, I rarely do. I didn’t agree with much of what the author said in the comments, but I felt she handled herself fairly well–which is another issue altogether. But it’s one that is also important. Linking to an article does not imply approval of its contents necessarily. Sometimes I link to articles in the hopes that the person/persons at the other end of the link will come and see the error of their ways (especially if the link is one that is unduly influenced by “worldly” sources). However, if I link to an article in the body of the daily column, it will be because there is something of interest or a point of knowledge which the reader may find helpful. NOTE: This is all off the top of my head, so this is more my opinions than anything else. I understand what you’re saying. I’m not Calvinist and I don’t understand all their tenets. But I’m learning to balance sovereignty with free will. They don’t have to be opposed, as some people like to do. My problem was that the blogger censors me. She’s refused to post at least 3 of my replies to her comments! I agree that sovereignty and free will are not opposed. I left a comment as well that hasn’t been posted, but perhaps the blogger is slow to respond. I’m not a Calvinist, per se, but I am beginning to see that parts of their doctrine answers many questions raised by Scripture in a way the others do not (the others ignore it actually). On an unrelated subject: I am very much interested in what you might have to say about all of the recent claims that preaching the gospel is insufficient; that preaching the gospel does not fulfill Matthew 28:19. This is a concerted effort as I discovered one post today (which I responded to and sent an email about) and I also received phone calls about the VERY SAME thing! (Matthew 28:19 not meaning to preach the gospel). Having come from a church which, about a year ago, separated their young people into very heavy indoctrination sessions, this is related. A loyalty is being built and it’s to church–not Jesus. So, have you noticed this? Do you have any thoughts on this? She told me in a comment on her article that she wouldn’t post some of my comments or recommend my blog b/c she considers me a divisive teacher with bad doctrine. I’m sick of her. I never heard of such wild claims about the Great Commission passages and the insufficiency of preaching before you brought them up this week. I’m shocked. Which church was this and who’s making these claims? The Great Commission = repent and believe. Some evangelize, some preach, some disciple, and some teach. They’re different callings in the church and they’re meant to complement one another. Yes, I spent some time writing about a piece of hers and then pulled it. Her entire piece was complex and I wanted to make sure I did it justice and wasn’t just “slap-dashing” it. Divisive? No, I’d say you’re bold. Being bold will be offensive to many. It is my belief that you’ll be seeing a great deal of the Great Commission attacks. That such a piece would appear on a website I had a high degree of trust in, was shocking. The only reason I didn’t have complete trust in the website was something I read in the archives of the Ephesians511 blog. What church? The coming whore church–that’s who will benefit from this teaching. There was a movement in the 70s(?) I believe. It was called “Shepherding” or “Heavy Shepherding.” It had some heavy hitters of the time behind it, particularly Derek Prince and Don Basham. It fell apart and into disrepute within a few years. Of the principles, only Prince repented of his involvement in the movement. About a year ago, the church I left instituted such a program. The program separated the young adults and intensely indoctrinated them. It built a loyalty to CHURCH, not to Jesus Christ. And sure enough, in a couple rounds of testimonies, every one of the young adults testified about how lucky they were to be a part of the church. Or how blessed they were to have such teachers as the pastor’s wife and the pastor. Not one of the young adults mentioned Jesus. That’s my testimony. I had a conversation yesterday with a pastor and it was pretty amazing. I asked him if he had heard of this twisting of Matthew 28:19. He said, “Are you serious? I just finished sending out some emails on just that very subject.” It’s coming and it’s coming fast. It’s being taught across the country. I’ve probably seen a dozen articles over the last six months pushing the concept; three since last week alone. I always thought of the Great Commission as “Go ye” and preach the Gospel. It’s the gospel which has the power to save. Yes, there are different callings in the Body. If I had any advice to give, it would be: Think about what it is you want to say to people. Say it quickly. The time when one could openly criticize and discuss issues such as this is drawing to a close. There’s not a lot of time left–months. That’s not being dramatic. That’s a reflection of what is taking place, what is being written and preached and what is being defended and/or attacked. I’m shocked by this doctrine. It’s not biblical. I believe in discipleship and mentoring, but to insist on being under another person’s authority or trying to produce loyalty to a church rather than Jesus (which has always been one earmark of a cult) is going too far! Christ has all authority and those not under him are lawless, b/c they’re deceived by the lawless one Satan. But that’s it. I understand the freedom of speech warning. That’s why I’ve been saving a backup of my blog each week. Yes, we don’t have much time. Are your ideas on apostles and prophets rooted in Catholicism? The latter aren’t exclusive to the Old Testament. Post-resurrection, Agabus was a prophet (Acts 11:27-28, 21:10-11). Philip’s 4 daughters prophesied (21:8-9). Prophecy is a gift of the Spirit and God appointed prophets in the church (13:1, Romans 12:6, 1 Corinthians 12:10, 28; Ephesians 2:20). He revealed the mystery of the Gentiles to “his holy apostles and prophets by the Spirit” (Ephesians 3:5). I don’t think you know what a prophet is or what he/she does. The divine office still exists and is a vital part of Christian ministry. General note: the spirit of Christ is missions. But I see little compassion for people on your blog and it frightens me. In your cynicism, don’t forget that sinful people are still people. God gives us compassion for some, righteous indignation for others. I often wonder about the “proper mix.” But the nagging question always seems to be: what is lacking elsewhere? Is a spirit of missions, of universal love lacking? I don’t believe it is. I scour literally dozens of different websites daily–mostly of the types which are marked “Christian.” I see no end of poetry (and there’s nothing wrong with poetry), devotionals, cheery comments and comments on “low-hanging fruit.” I attempt to provide the reality. Occasionally when it merits, I offer more. We serve a loving and merciful God. But we also serve the Perfect Judge and time is running out. To whom much is given, much will be expected. I am painfully aware of that–especially after a long, fairly happy, though wasted life. Yes, you are totally correct: sinful people are still people. But they are still sinful. Maybe it’s just my own background. I was a coach and a teacher and highly successful at both. I want the truth, I want it straight, don’t hold back. I’m a big boy, I can take it. Most unbelievers have a sense of when they’re being given the straight scoop, which is what I try to do. No, I got my ideas on the prophets and apostles from Hebrews 1:1-2. It seems very clear. God has said everything He is going to say on the matter through His Son, Jesus Christ, who is the Word. I was taught there were prophets and apostles. But that didn’t line up with what I was seeing in the Bible. How is it you see “God appointing apostles and prophets” in Ephesians 2:20? The foundation has been laid. It is not being laid on a continuing basis. The Church of Jesus Christ has been built on that foundation. However, there will be another Church built on a new foundation that is even now being laid. It is being laid by a new crew of self-appointed, self-anointed apostles and prophets. The only way this new Church can usurp the authority of the original prophets and apostles is by opening the offices up again–which is what they have done. This is one big reason the battle over new revelation is so important. If God is still operating through apostles and prophets–in clear contradiction to His Word–than we have an open canon of Scripture. IF these people are really prophets, we need to be adding pages to the Bible every time they speak. IF “to prophesy” means the same things as the office of a prophet, then every time someone prophesies, we need to write that down and add it to the Bible. God cannot speak less authoritatively one time and “for keeps” another. Why is this not being done? IF there is someone who is speaking with the authority of God (and I am not talking about a message for a particular individual, though I’m not quite sure why that wouldn’t also qualify), for God, with God’s words in their mouth, then that is pretty important. That would be a part of God’s Word, correct? Again, I see nothing in Romans 12:6 which would support the claim that “God is appointing prophets and apostles in the Church.” Nor in 1 Corinthians 12:10. Again, edification, exhortation and comfort. I am referring to the office of prophet. Also, the Bible is clear about apostles: they are men who have seen Jesus. No modern claims hold water. All of these modern self-appointed, self-anointed apostles who claim “Jesus came to see me”–the Bible calls them a liar. Jesus is at the right hand of the Father until he returns. He’s not taking day trips to Kenneth Copeland or Todd Bentley. You are absolutely correct about Agabus. Agabus was alive and well and, it must be assumed (though it isn’t stated) he was a prophet before the resurrection–as were the rest of those named in Acts 11:27. “To prophesy” is a gift of the Spirit. The Bible is very clear what “to prophesy” means: to edify, comfort, exhort. Someone who prophesies in the clear meaning Paul gives is not operating in the the office of a prophet. There is no Scripture for any of that. There IS Scripture that God is not speaking through prophets in these days: He has said it all through Jesus. Perhaps I don’t know. I only know what the Scripture says. I don’t play “dueling Scriptures.” I have attempted to answer the Scriptures you provided. I’m sorry, to be able to claim the “divine office still exists” you will have to answer Scripture that very clearly states it does not. Thanks again for your comment. I’m sorry the answer is so long, but I wanted to answer the Scriptures you presented. I like your prayer, just not your approach. Some people don’t want the truth straight (although they should). Others live in spiritual mourning or have been deceived and need gentle help. I think you’re too hard on people. I hate wolves in sheep’s clothing, but I pity those deceived by them. I pity sinners too. Anyone can sin or be deceived; we’re all human. Where’s the compassion? Does your heart bleed for sinners? Do you pray for them day and night? I agree with you on apostles. But what do you mean about Agabus and Philip’s daughters? This all took place in the early days of the church, after Jesus’ resurrection! Agabus prophesied about a famine in the days of Caesar and Paul’s arrest in Jerusalem. Just b/c they prophesied doesn’t mean their words were meant to be written down as God’s Word. It was a local time/purpose. I believe in a closed canon and true prophecy from God doesn’t add to it. Prophecy = divine insight into the future and divine warning on judgment. They’re together throughout the Bible. The book of Revelation is John’s prophecy on the end times. Until Jesus returns, God will always reveal the future to his prophets so they can warn people of judgment unless they repent. Well, there will always be differences of opinion concerning approach. I give readers of this site every opportunity–if they are non-believers–to see a Gospel/salvation message. At least a couple times a week, I try to “tease” them into reading one. I am happy that thousands have availed themselves of that opportunity. I pray for more. If there is a particular group of people I try to reach, it’s those who are deceived by worldly predictions of doom/gloom/conspiracy. I’m not saying I don’t agree with much of what they say, just not their man-centered, unbiblical conclusions of what is to take place and the outcomes. Ah yes. I know of mourning. When my eyes were opened, I mourned for much of the next six-eight months for a world which had been pulled over my eyes. Now I mourn for the corruption that is everywhere and for the multitudes deceived and unaware of their coming destruction. My compassion is not in soothing words. My compassion lies in giving opportunities to hear/read the Gospel. That’s what I can do for the lost. Pity? As I have said before, the place that the deceived and the deceivers end up is the same. [Matt 15:14 and Luke 6:39] I heard a lot preached about “having a heart for the lost.” Then I watched as opportunities to share the gospel were exchanged for opportunities for building an earthly kingdom. My compassion is also in warning others of the particular dangers that lie ahead so that they might prepare. However, that is a thankless task. No amount of words–soft or hard or whatever–will pry open the eyes of the self-deceived church-goer. That is a job for God. My prayers are daily directed to that purpose, especially since I have family at risk, though I believe God will deliver them. I believe Agabus (and Acts mentions “and others”) operated in the office of prophet. What I meant was, Agabus was no doubt a prophet before Jesus resurrection–and afterwards, too. Philip’s daughters “prophesied” but were not prophets. Also, the office of the prophet was still in operation during the formation of the Church. We’re told that Barnabas and Silas were prophets. Yes, you will find Acts full of prophets. Maybe we are just mixing our terms? I see Luke 16:16 and Matt 11:18 being used to justify there being no more prophets. I’ve seen some tightly-reasoned arguments for using these two verses, but I’ve also seen them used out-of-context too. I’m still working on those two. If I can ever get it together on those two, along with Hebrews 1:1-2 they would seem to quite clearly speak on the subject. But we’re specifically warned against adding even a word to Revelation. Taken with the rest of the Bible, Revelation is a very complete warning as it is–almost all of it which is unheeded in the times in which we live. We are warned of the very things that the Church is engaging in day by day. They won’t listen to God’s Word, would they listen to one who said he came in God’s name? Time and again, Revelation paints the picture of a merciful God giving mankind a chance to repent–and it doesn’t, it curses God instead. Those who ignore God’s Word would ignore one who said he was God’s prophet–except for the one who will come in his own name. Him they will follow. Even now his workers labor night and day in preparations. The warnings given in Revelation and the rest of the New Testament are repeated here daily. I can say without reservation that those who fight the hardest against those warnings are those who sit in churches. The whore church will not be filled with atheists. The whore church will be filled with people who now sit in churches. Oh, they will be joined by pagans and others, but the heart of the whore will be composed of the apostates who make up the majority of today’s congregations. I wish it weren’t so. When I was a heathen, I got angry whenever someone said that something was “God’s judgment.” How could they say that? Can’t they see that in America there’s churches on every corner full of millions of Christians? I never stopped to consider the churches were full of people just exactly like I was. I see I misjudged you on the compassion bit. I’m sorry. Yes, prayer must go with preaching and writing if it’s to be effective. Tongues, prophecies, miracles – I’ve experienced these things, not just witnessed them. I think there’s a realm of life in the Spirit that you know nothing about. There are true miracles, prophecies, signs, and tongues as well as lying ones. Have you learned to discern the difference? Tongues and prophecies? I’ve seen a steady stream of both. I used to take them all as from God. So many in the Church place so much stock in tongues. But who are tongues for? 1 Cor 14:22 tells us they are for unbelievers. When a “Word from God” would come forth, I would look at those who had “been around” to see if it were true or not. Then one day, for some odd reason, I knew. It was like a switch was thrown in my head. I knew that God didn’t speak in the idioms of modern English. He also didn’t talk like a surfer dude. He also didn’t speak as a man might speak. God never changes. I knew that those purporting to speak for God were speaking for themselves or from another spirit (no matter that many times the message they spoke was biblical). In fact, over the course of about six months, I never heard one message from God. When Paul rebuked the the python spirit of divination [Acts 16:16-18] it was speaking the truth. Yet, if we listen to another spirit–even if it speaks the truth–we are not following the commandments of God. Experiences are being substituted for the Word of God. Rather, the Word of God is being conformed to fit the various and sundry experiences people are having. I’ve had visions. At one point, I was convinced they were from God. I know now they were not. I’ve been on the receiving end of the visions of others. When visions, prophecies and experiences trump the Word of God, Satan has a field day. Nothing is inviolate except the Word of God. Which is why Satan labors long and hard to raise up other forms of authority to challenge it. He is very good at what he does. CAN GOD give messages? Does He still speak to us? Of course. I have had encounters with God. They are not something I talk about–although there is one I very occasionally relate. NEVER have I had a “happy” encounter with God. Maybe it’s just me. The only thing I can figure out is: I was to know that there is, without a doubt, a God; that He is a miracle-working God; and, that truly NOTHING is too hard for Him. These are not merely guesses, I have experienced His power on display in awesome and mighty ways. Sometimes, it took my breath away. It is also very, very sobering. Luke 9:54 is more than a Bible story to me and I would say that is so for a reason. I can only speculate as to that reason. Most people are conditioned to see power as “God’s power.” They are even conditioned to question Scriptural warnings as “not enough faith” or “questioning the power of God.” The enemy is clever and he has done an exceedingly good job over the last 100 years of preparing a people ready, willing and able to welcome and celebrate the man of sin. Haven’t you ever wondered how Satan deceives the whole world? How the whole world wonders after the beast? How do we get from Christian to satanic? How do we get from where American Christians THINK THEY ARE to demonic? How after the many, many warnings, the church still turns to the demonic? We have become a people convinced that what we see, what we do and what we experience is from God–even though we are warned that Satan will appear as an angel of light. But that warning is just so many words–power is an experience and power is what humans crave. Experiences now trump the Word of God. Oh, we say they don’t, but they do. We have become a people whose experiences are sanctified by our participation in them. If we do it or experience it, it must by holy. It must be holy because we participate in it. We are from God, we are not from the enemy. The whole world will be utterly convinced that what they are seeing is from God–and they will be led by those in the Christian churches who have been so conditioned. We’re told that many will be seduced–and many are already seduced. WE ARE THERE NOW. The ones who should be warning others are attacking the very very few who are giving the warnings. Jesus Himself warned it would be so–and Jesus is not a liar. Even though the Bible is quite clear that this will all take place, it never ceases to sadden me when I actually see it. Having quite clearly seen other spirits at work–and the power thereof–I can testify that power deceives church-goers in a way like nothing else can. Events that have made me sick to my stomach have been celebrated by others in the church as “moves of God” or “more of the Holy Spirit”?!? It was very frustrating, very disturbing, very tragic. But it was only a little foretaste. Who will admit to being visited by a counterfeit spirit? Of having the power of the enemy flashed in our faces? That is not what most want on our “spiritual resume.” I will admit it–especially since becoming saved. I wondered why God placed me in a situation which grieved my spirit constantly. ALL I wanted to do was just show up, worship and spend my days in service to others. That’s how I spent the first 2 years after becoming a Christian and I was so happy! Why did this whole situation come about? Why were people I cared about so deceived? They all read Bibles. They all prayed. Why were they turning against God’s Word when they were so strongly convinced they were serving Him? I prayed and prayed to be released from that situation. But I was kept in it for fifteen long months. I know now the reasons–at least I think I know. When I speak of deceiving spirits and a counterfeit Holy Spirit, it’s not just a rhetorical device. They are REAL; we are clearly warned of them–and YET, people who profess to love Jesus are taken in by them lock, stock and barrel. I think it is because God’s Word is merely words to them–but power? Power is right there! And it gets people talking! Wow! This must mean we are favored by God! Look! God is blessing us! Who doesn’t want to be favored by God? Who doesn’t want to thought of as God’s special people; so special that he does a healing right in front of 10 people? So special that he “manifests” in front of 100? IF the fruit is bad; IF a person is mis-using and abusing God’s Word, no amount of power will demonstrate that they are from God. But that is not how people think. People take miracles in a church as a sign from God. IF someone says “I am from God” and displays power, that’s good enough for 99 percent. The Bible very clearly warns that satanic, demonic power will deceive the whole world in the end times–even the elect if possible (and, I’m told, in the Greek “if it were possible” is a first class conditional clause meaning “if it were possible and IT IS possible”–which I’m trying to reconcile with my understanding of the word “elect”). Revelation 13, 16 and 17 warn of satanic, demonic power which will deceive the whole world: every kindred, tongue and nation. Of course power deceives: it is quite clearly deceiving people today. Such a book might be a hard sale–though I’m not the world’s foremost authority on the contemporary Christian publishing market. I’m hoping to bring at least 2 books to the publisher this year. But I’m having a difficult time. I told my agent I’d have her the proposal for the first by the end of February. I believe she’ll be surprised to finally have the finished proposal Monday. I’m not used to having to engage in hand-to-hand combat over the words coming forth on particular projects. There are other changes which have been troublesome, but nothing I didn’t know about. I knew the job was dangerous when I took it, so to speak. So I’m really, really behind. Oh well. This is another one I’m putting in favorites. Also e mailing it. Wish I could e mail it to everybody. P.S. Derek Prince used to come to our church regularly. I had all his books, plus watchman Nee and Kenneth Hagin. Threw them all away. Our church was into sheparding. I didn’t quite know what it was, but there was something wrong with the church. I don’t like to even think back on it as it was bad times. I remember thinking Nee knew so much about God and the spiritual rhelm and how it worked. He had some really good or maybe good sounding stuff in his books. What a nightmare. I am also going to pray the prayer you pray. Starting tonight. AJC How did we get taken in. So tricky, the fall so great and so many taken away.